Cabernet Sauvignon is planted all over the world in a myriad of climates. It reaches its full potential in Bordeaux, especially in the Medoc as well as in Pessac Leognan, and of course the Napa Valley region in California. It is used to produce much of the world’s most expensive wine. It is also used to make a lot of inexpensive wine. Cabernet Sauvignon continues to gain in popularity as a grape for wine. To illustrate the grapes explosive growth, in 1990, it was the 8th most widely planted varietal in the world. By 2010, it jumped to being the world’s most popular grape variety! To give you an idea on how popular Cabernet Sauvignon is today, there are over 300,000 hectares of the grape planted all over the world. That is more than 741,300 acres! In 1990, 100,000 hectares were planted. Cabernet Sauvignon is so popular, the grape has its own holiday, International Cabernet Sauvignon Day is celebrated every August 30. Clearly, Cabernet Sauvignon is now the most famous red wine grape in the world. What you might find surprising is, it was created relatively recently. At some point in the 17th century, it is thought that Cabernet Franc and Sauvignon Blanc was originally the creation of nature when the vines first propagated. From there, French wine growers continued crossing Cabernet Franc and Sauvignon Blanc. This new creation was named as you can see from the two varieties it was created from, Cabernet Sauvignon. Because of this natural creation, Cabernet Sauvignon is limited in its genetic diversity. Working with the natural selection, growers continued working on the new variety to bring out its special flavors, tannins and tough, thick skins that made it easy to grow and harvest. In fact, the thick skins on the Cabernet Sauvignon are one of the grapes key attributes, according to Didier Cuvelier, the owner of Chateau Leoville Poyferre in St. Julien. Food and wine pairing tips for Cabernet Sauvignon are easy. Cabernet Sauvignon comes in a wide variety of styles. Some wines are riper, richer and more powerful, others offer a more elegant taste, texture and feel. In young Cabernet Sauvignon, the tannic structure makes it the perfect wine and grape to pair with fatty cuts of meat, lamb veal and pork. Due to its earthy quality, dishes with mushrooms also work well. Cabernet Sauvignon is also perfect for a myriad of different cheeses. There are fans of matching riper styles of Cabernet Sauvignon with chocolate based dishes. For me, one bite is interesting, especially as some Cabernet Sauvignon shows chocolate characteristics, but one bite is enough. Two bites is not bad, but three is too much for me personally. Cabernet Sauvignon began earning a good reputation for producing strong wines of character in the 18th century. This was due to its success in the Bordeaux wine region. It seems to have first taken hold in the gravel based soils of Pauillac, the home of three of the five First Growth chateaux. Chateau Mouton Rothschild, then known as Chateau Brane Mouton and Chateau dArmailhac were two of the first well-known Bordeaux wine producers to embrace Cabernet Sauvignon. Today, Cabernet Sauvignon is the dominant grape in the Left Bank of Bordeaux. Cabernet Sauvignon is also the most important grape in Pessac Leognan, although it has competition with Merlot. The decision as to when to pick Cabernet Sauvignon is paramount as to the style and quality of the wine. Jean Emmanuel Danjoy from Chateau Clerc Milon what characteristics they most desire when picking. The actual discovery of the true origin of Cabernet Sauvignon is moderately recent. In 1996, a team of scientists led by Carole Meredith, the owner of Lagier Meredith, (a Rhone varietal producer from California) used plant DNA material to determine the fruits origin. It is thought that the variety was created by an accidental crossing that took place sometime in the 17th century between Cabernet Franc and Sauvignon Blanc. Due to the creation of Cabernet Sauvignon in France, as well as the perfect terroir and soils found in the Bordeaux region, you might think that more vineyards are devoted to Cabernet Sauvignon in France than in any other country. 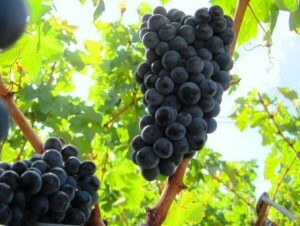 However, Cabernet Sauvignon is widely planted in other countries all over the world. France has the most plantings of Cabernet Sauvignon, as more than 55,000 hectares are cultivated with Cabernet Sauvignon. After France, you find the most amount of Cabernet Sauvignon in Chile with 41,000 hectares, United States – 35,000 hectares, Australia – 25,000 hectares, Spain – 24,000 hectares and rounding out the top 5, China with 23,000 hectares. The grape is also widely cultivated in Italy, South Africa, Argentina and Bulgaria. However, it’s also planted vineyards ranging from Canada to Lebanon to New Zealand to Israel and Austria! Cabernet Sauvignon is planted all over the world! In part, this is because of the style of wine produced by the grape. Cabernet Sauvignon is also popular due to its world-wide renown fame, the ability to produce crops with high yields and more importantly, Cabernet Sauvignon can ripen in a diverse array of soils and climates. The amazing ability to adapt to so many different terroirs explains how the grape can produce great wine on multiple continents. As you can tell from all the different countries with plantings of the varietal, the relatively hardy Cabernet Sauvignon grape can be grown in a wide range of terroirs. However, Cabernet Sauvignon is at its best in poor, deep gravel soils and sun with warm temperatures. Part of the reason Cabernet Sauvignon performs so well in Bordeaux are the deep, gravel soils and gentle slopes. That combination allows for good drainage after the rains, which force the vines to burrow deep into the soils. It needs a longer growing season than Merlot and Cabernet Franc. Cabernet Sauvignon is most famous for the wines made in the Left Bank of Bordeaux, as well as for the wine it produces in California. While Cabernet Sauvignon is always blended with other grapes in Bordeaux, there are numerous producers making 100% Cabernet Sauvignon in California. Washington state has also become a produce of high quality Cabernet Sauvignon. In Bordeaux, Cabernet Sauvignon is almost always blended with Merlot and depending on the estate, various portions of Cabernet Franc, Petit Verdot, Malbec and even Carmenere. However, there is one Bordeaux Chateau producing wine from 100% Cabernet Sauvignon, Chateau Le Createur, which produces wine from 1.5 hectares in the Margaux appellation. Cabernet Sauvignon is as we mentioned, the world’s most popular and widely planted grape. It works because not only does Cabernet Sauvignon have the ability to produce stand alone wines, meaning wines that are produced from only one grape variety, but it is also the key grape used in many popular blends. As you know, it is the most important grape in Bordeaux blends from the Left Bank and Pessac Leognan, where it is used for the majority of the blend. But you also find Cabernet Sauvignon dominated blends in the Napa Valley, where the wines can be called Meritage blends. In Italy, in Tuscany, the grape is an important part of most blends made that are called Super Tuscan wines. In Australia, Cabernet Sauvignon is often blended with Shiraz. It has also become the most popular grape variety in Chile. Cabernet Sauvignon is also the most planted grape in China, which continues adding more hectares of the grape all the time. Cabernet Sauvignon when ripe, and produced from low yields delivers a complex array of scents, aromas and textures. When the grapes are not able to ripen fully, they can deliver a sensation of pyrazines, which can remind the taster of green bell peppers. There are some consumers that enjoy that sensation, but today, in Bordeaux and California, the two leading areas for the production of high quality Cabernet Sauvignon based wines, pyrazines are an undesirable quality. Green or vegetal aromas and flavors are quite different than subtle herb flavors like thyme or tobacco leaf for example. Herbs are often a prized complexity that comes with bottle age. Classically styled Bordeaux wine, or wines from Bordeaux blends produced throughout the world during the 1980’s and in prior vintages expressed much more pyrazines than the wines made today. This has been accomplished by different vineyard management techniques starting with canopy management, to allow for more sunlight on the berries, green harvesting to reduce yields, picking fruit that is phenolically ripe, when possible, stem removal and extremely careful sorting. Even with today’s knowledge about vineyard management, due to the soils and choices of the growers and wine makers, Cabernet Sauvignon tastes different in every region it grows in. Jean Charles Cazes of Chateau Lynch Bages in Pauillac offers his take on what he finds in his Cabernet Sauvignon based wines. As we mentioned previously, in Bordeaux, Cabernet Sauvignon is always used as part of the blend. It can be over 90% of the blend in some vintages at select estates in the Left Bank. At other properties, it might be as low as 50%, or even a little less. In the Right Bank, not much Cabernet Sauvignon is grown. Some properties use up to 25%, for example Chateau Figeac in St. Emilion has almost one third of their vines devoted to Cabernet Sauvignon. Chateau Cadet Piola has 28% of their vines planted to Cabernet Sauvignon. Chateau Troplong Mondot also in Saint Emilion has slowly increased the amount of Cabernet Sauvignon in their vineyards over the past two decades. Chateau Pavie is experimenting with some plots of Cabernet Sauvignon as well. But across the board, not many Right Bank Bordeaux estates use that much of the variety in their blends. In Pomerol, based on recent vintages, Chateau Clinet uses between 10% and 15% Cabernet Sauvignon in their wine. More often, if a Right Bank chateau includes it in their wine, on average, it ranges from 5-15% of the blend. The rest of the blend is usually Merlot, Cabernet Franc or both. At Chateau Palmer in Margaux, they use one of the higher percentages of Merlot in their blend in the Medoc. Yet, without the addition of Cabernet Sauvignon according to Thomas Duroux, the director of Chateau Palmer, the wine would not have the same finesse. In California, many wineries produce wine from 100% Cabernet Sauvignon, although blends are common as well. Cabernet Sauvignon based wines are the most expensive wines produced in California, with prices for Screaming Eagle hitting well over $1,000 per bottle! Harlan Estate is not far from that price point either. 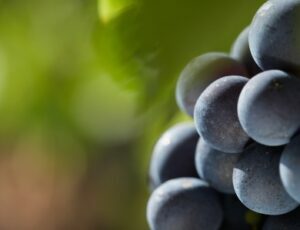 At its best, Cabernet Sauvignon produces wines with deep, dark colors that offer complex scents and concentrated flavors ranging from blackberries, creme de cassis, black cherries, boysenberry, blueberry and chocolate when young, to fragrances of tobacco, truffle, cedar wood, earth, lead pencil and leather when mature. When the berries are not ripe, distinct aromas of green peppers or olives can be found. The wines can be rich and concentrated, as well as tannic. 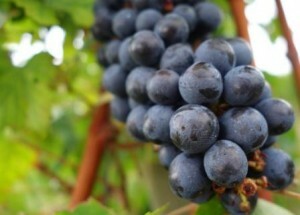 Cabernet Sauvignon wines have the ability to age for decades when grown in good soils and allowed ample time to ripen. One of the key properties for Cabernet Sauvignon is the ability to produce age worthy wines according to Patrick Maroteaux at Chateau Branaire Ducru in St. Julien. The actual Cabernet Sauvignon berries are small. 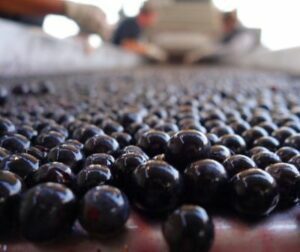 They have dark colored, thick skins and can, under the correct conditions, become intensely, concentrated with flavor. It is the ability to offer concentrated flavors, refined textures and complex aromatics, along with high levels of tannin allowing the wine to age and evolve that make this an ideal grape for producing wine. Cabernet Sauvignon not only makes sublime wine in Bordeaux, it is perhaps the most important grape in California. In the Napa Valley, Cabernet Sauvignon is king. Tod Mostero, the winemaker for Dominus explains what they look for at Dominus with their Cabernet Sauvignon in the vineyard. In many ways, the character and quality growers seek in Cabernet Sauvignon does not vary all that much from Bordeaux and California. As a point of comparison, at Chateau Pichon Baron in Pauillac, the director Jean Rene Matignon explains what he looks for in Cabernet Sauvignon. Emeline Borie of Chateau Grand Puy Lacoste, the popular Fifth Growth estate in Bordeaux looks for elegance in the taste of the wine.